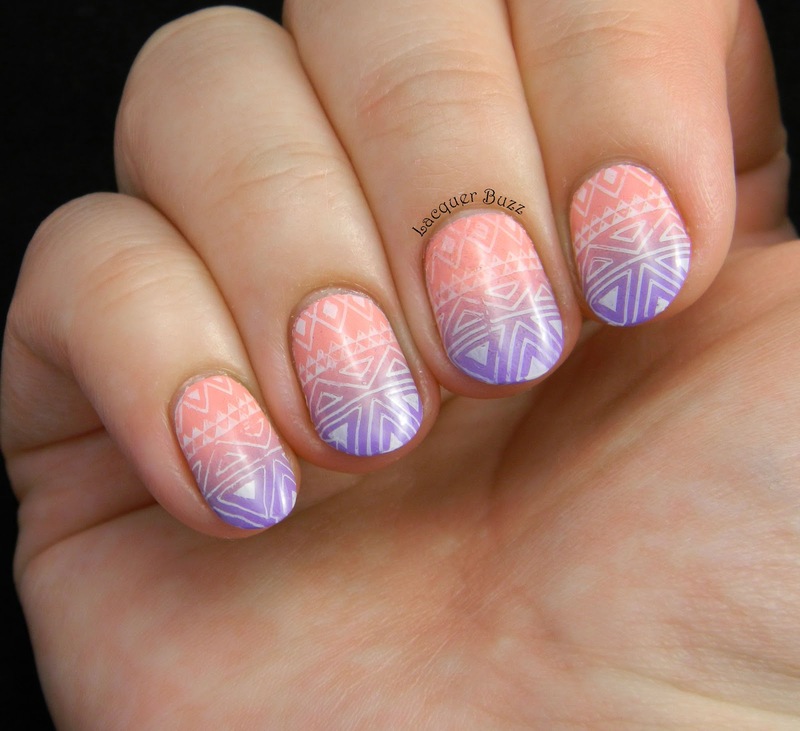 I created this gradient using two shades from my Oumaxi acrylic paints. The combination between these colors was stuck in my head from a few months ago, when I tried to do a reciprocal gradient that was a total fail. I did a gradient with these two colors and it came out great, but then I added tape and did the reverse gradient that messed everything up. I now decided that this gradient needed to be recreated so here we are. 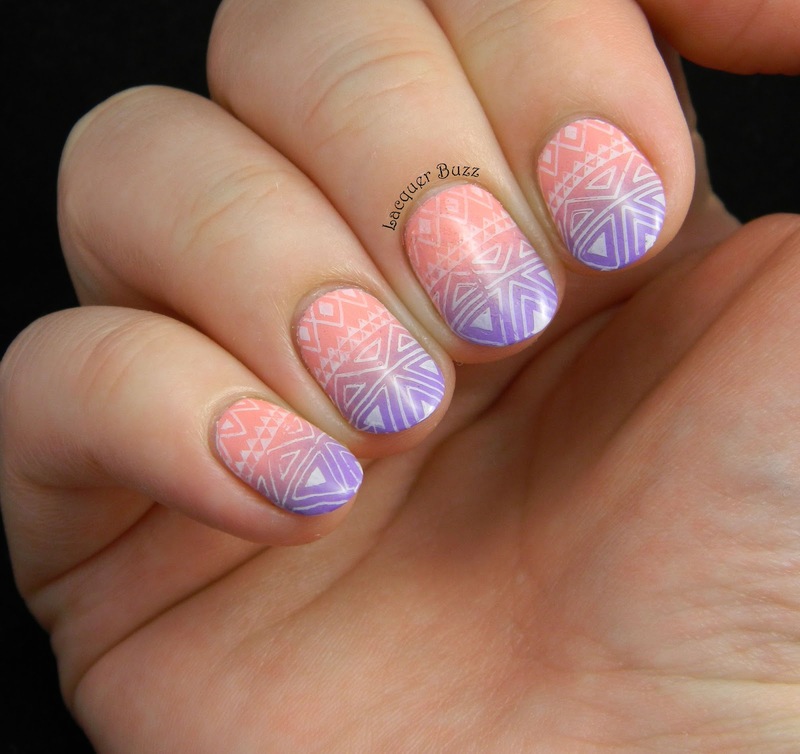 I added some stamping on top of the gradient using a tribal image from plate QA66 and Konad White. 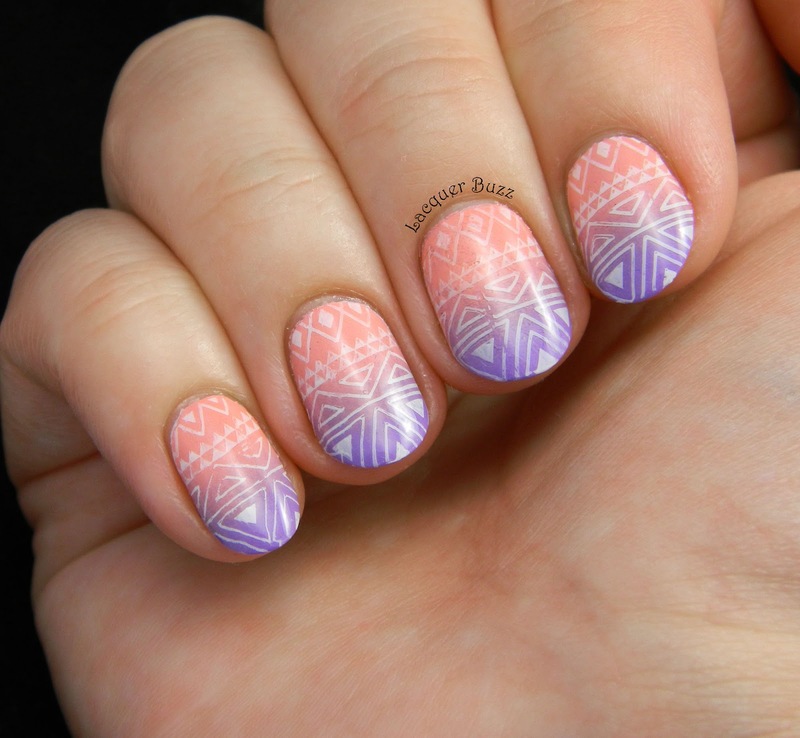 I really like how summery this looks and the white stamping doesn't overpower the gradient because it looks nice and subtle, which is kinda my trademark. I also love the fact that the colors photographed accurately. They really do look this vivid in real life too! 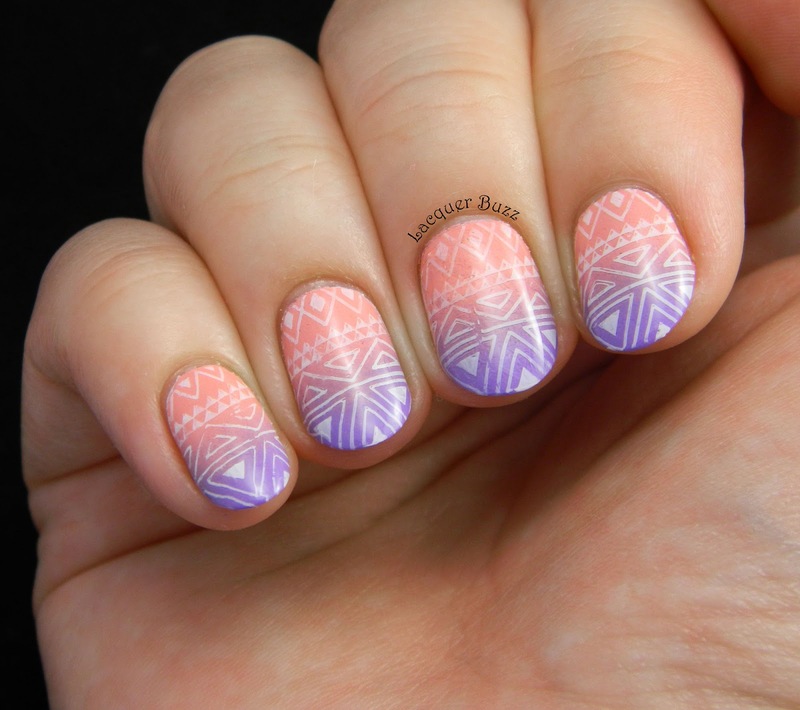 Love how soft the gradient is and it goes so well with the stamping too! I love the gradient! The stamping goes perfectly with it! I love the colors you picked. They go quite well together! Foarte frumoasa gradinetul, iar modelul stampilat se potriveste de minune!